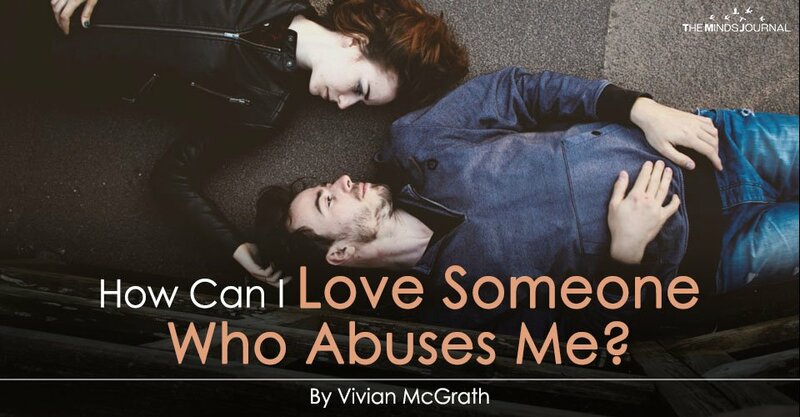 How can I love someone who abuses me? I get asked this all the time, mostly by women praying and hoping I’ll say yes. They’re looking for hope and confirmation that if they stay, persevere and keep proving their love their partners will change. How can I still love someone who abuses me? One of my online video course students has just shared a brilliant article which answers both questions (link below). It perfectly sums up codependency and what I experienced in my relationship with a violent ex. I didn’t fall in love with an abusive man. I fell in love with a charming, charismatic guy who later happened to turn violent. We both felt we were in love. The trouble was it wasn’t a healthy form of love. We loved on the basis that the other would respectively fulfill our deep-seated insecurities and needs. I was low in self-esteem, desperate for approval and needed him to need me. I feared abandonment too. He made me feel special. Great. I was the only one in the room that first night we met. Not long after he revealed his darker side. Damaged, he claimed, by events in his past. I felt sorry for him. I made it my mission to protect him and rescue him. If only I could love him enough. I can heal the wounds this poor, lovely man has. That made me feel needed and good. That was what love meant to me. I loved him. He needed me. For a while, this worked. Even though he’d shown me his flaws, I accepted him, loved him all the more. I ignored any red flags that told me I should run away. My entire focus on him made him feel powerful. It gave him the warmth and security he needed. He loved me for it. I’m sure it felt like love to him. He felt so good, he lavished me, put me on a pedestal. I was unlike any of the girls he’d met before. I felt great. It didn’t last long. You can’t hide from insecurities forever. He started to doubt, test my love, push me away. He set unwritten rules I could never live up to. Aimed at proving my undying love for him, so he could be sure of it. Will she still love me if she sees who I really am? I wasn’t sure. I started to question his behavior. Showing signs I might walk away. Out came the loving, attentive man again. The one that made me feel so good about myself again. I stayed. I had same situation in my life few year ago, thanks very much for sharing!